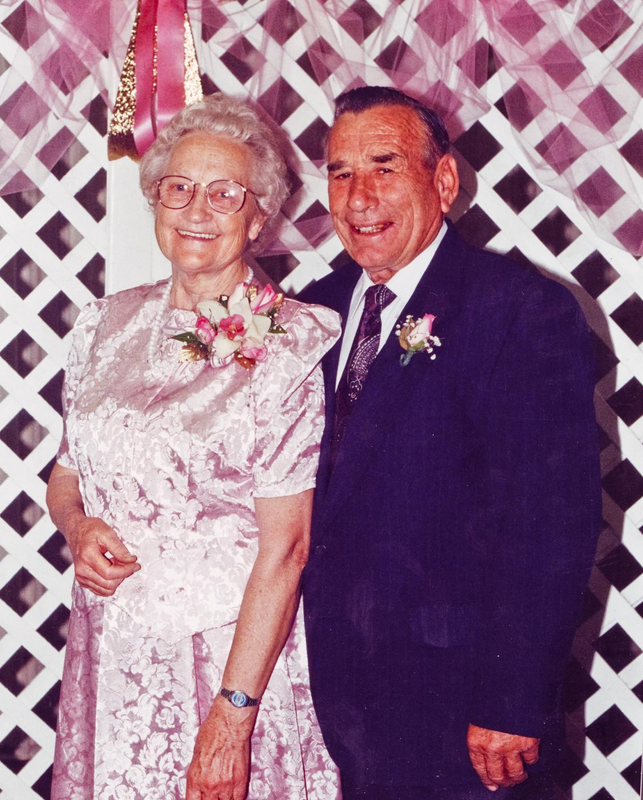 The family of Irving J and Ethlyn Ray announce their joyous reunion in heaven after she slipped peacefully from mortality on Friday, 23 September 2016. The daughter of Hans and Mynoa Richardson Andersen, she was born in Thatcher, AZ on 15 December 1925 but lived most of her life in Mesa, AZ where she met and married Irving and with him reared their ten children: Kenneth (Tina), Melvin (Sonya), Cynthia (Dale Flake), Mynoa (Alan Williams), Marlene (Gary Hinton), Juanita (Jeff Hill), Ilene, Ruth Ann (Michael Petramalo), Jenise (Bill Zundel), and Christine (Michael Hitchcock). She has 85 grandchildren and 290 great-grandchildren (today’s count). She is adored by all of them. 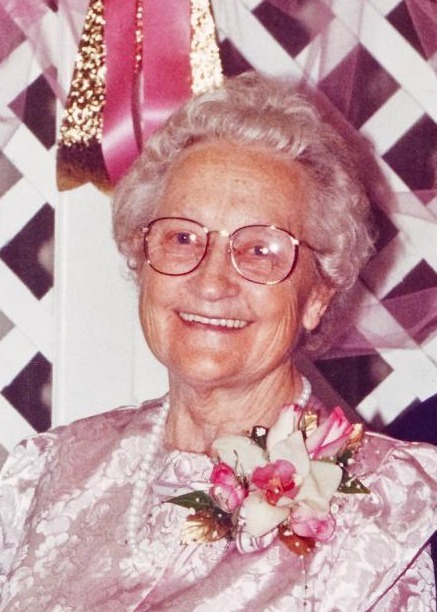 Ethlyn, a devoted member of the Church of Jesus Christ of Latter-day Saints, found great joy in the gospel of Jesus Christ, her family, music, and service as she shared her blessings with everyone she knew and some she didn’t. She worked hard, loved deeply, gave generously, and cheerfully handled life’s challenges in a way that inspired us. We are so happy for her safe return to her sweetheart, her daughter, Juanita, and multitudes of other precious and beloved family and friends. To quote her 16-year-old friend, Noah, “The angels got one of their best back.” Good job, Mother! Visitation will be Thursday, September 29, 2016 from 6-8 PM at The Church of Jesus Christ of Latter-day Saints, Mesa East Stake Center, 2228 E. Brown Road, Mesa, Arizona. Funeral services are Friday, September 30, 2016 at 10 AM, with a visitation at 9 AM, at the same location. She truly lived just as we should!!!! Surely, there is also a reunion with her brother Darl Andersen -who served and influenced many people-no matter their religion, race, color or economic station.